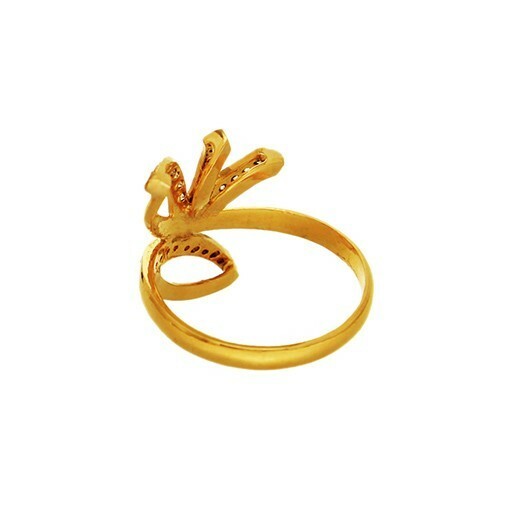 A 22 karat gold ring that is unique and intriguing in design. 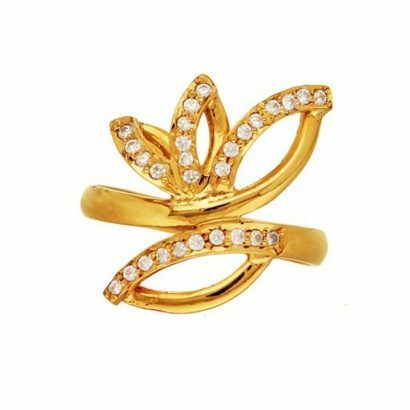 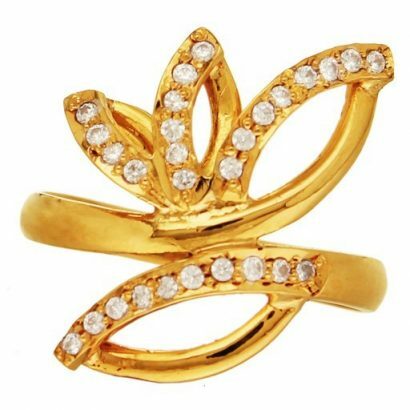 The artfully formed golden petals are inlaid with sparkling white stones that add glamour and sophistication to the ring. A contemporary nature inspired piece of jewellery with an artistic and intriguing twist.